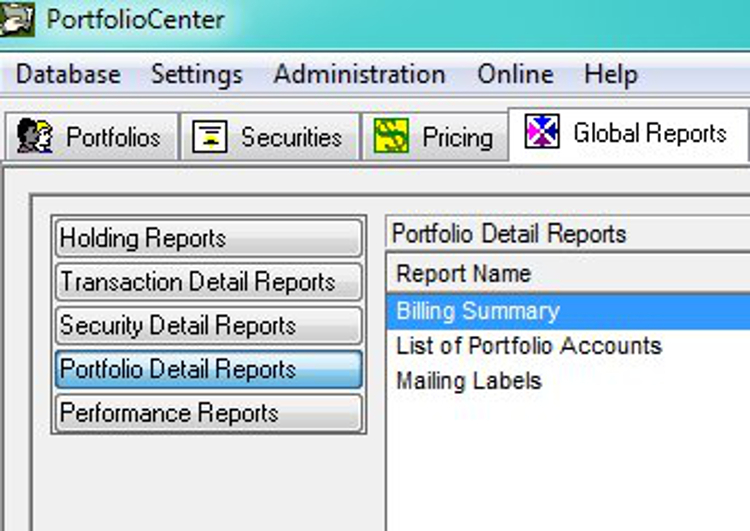 Don’t use PortfolioCenter Billing Summary to verify invoices Let us manage the data, so you can manage the money. The PortfolioCenter Billing Summary report is not a reliable tool to verify the accuracy of your client invoices. Review the actual invoices instead. First, format your invoices so they contain enough information to clearly explain how fees are calculated. (Your clients will thank you, and SEC auditors will find less to complain about.) Do a thorough review the first time you generate bills in PortfolioCenter. Then, in subsequent quarters, you only need to review new and changed clients — assuming, of course, that you have complete, accurate, posted and reconciled PortfolioCenter data. 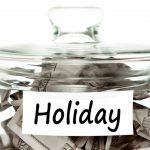 Here’s what can happen: say the Happyclient’s household fee is allocated to each portfolio the Happyclient’s own. Updating the billing history creates a listing for each Happyclient account that includes its portion of the total fee. But then Mrs. Happyclient calls and asks you to deduct the entire fee from their joint account. You swiftly comply and even remember to run the Update History Wizard. This change creates an entry in the Happyclient group billing history for the entire fee. Unfortunately, the previously generated prorated fees for the same billing period remain in the billing history of each Happyclient individual portfolio. The Update History Wizard does not remove them. (Yes, it should, but at this point it doesn’t.) Unless you manually change the billing history of each Happyclient account, the Billing Summary report will contain all the original prorated fees plus the total single deducted fee. However, the Happyclient invoice will be correct. The invoices are the most accurate, up-to-date reflection of the fee calculations. Review them to to verify the accuracy of your billing settings. Note: If you export and upload management fees to your broker, in this situation you would still need to update and verify the billing history. But that’s another post.